The reason the two crosses don’t touch in the middle, is inspired by the visual of Michelangelo’s “Creation of Adam” painting on the ceiling of the Sistine Chapel. Here is a link to the wikipedia article detailing the symbolism from Michelangelo’s fresco. The HISwork logo departs philosophically from Michelangelo’s, in that, in his painting God is represented on the right side of the image, whereas on mine, since God is pre-eminent, I placed His cross on the left. In Michelangelo’s painting, God’s hand appears a little lower than Adam’s, and His hand appears to be striving towards Adam’s, whereas Adam’s seems to be nonchalantly reaching in God’s general direction — God appears to be working harder to reach mankind than mankind appears. 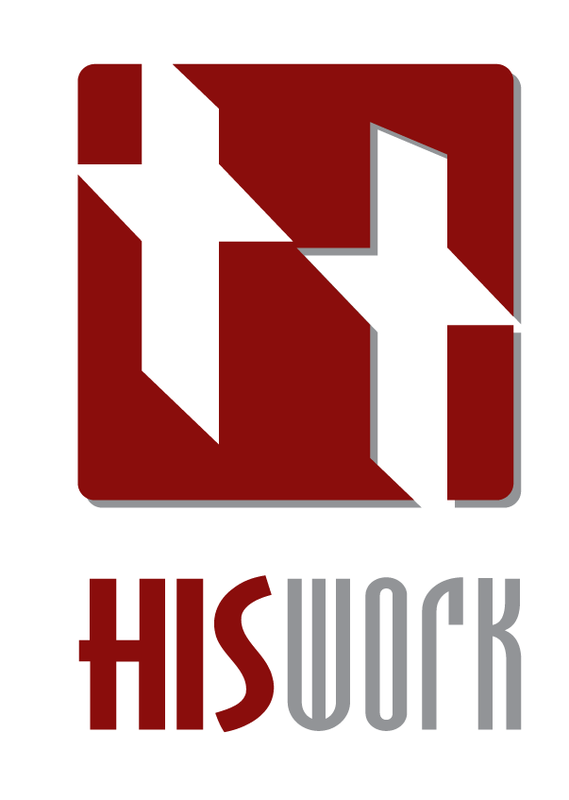 In the HISwork logo, the angle of the edge of “our” cross makes it seem like we are striving really hard (although I’ll be the first to admit we could be trying harder) to reach God. The color of the logo is a deep brownish-red, symbolizing the blood of the Lamb, appearing to be drying (the darker brown), while retaining some life in it (not entirely brown).